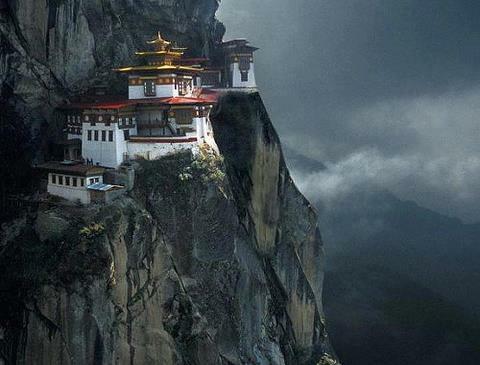 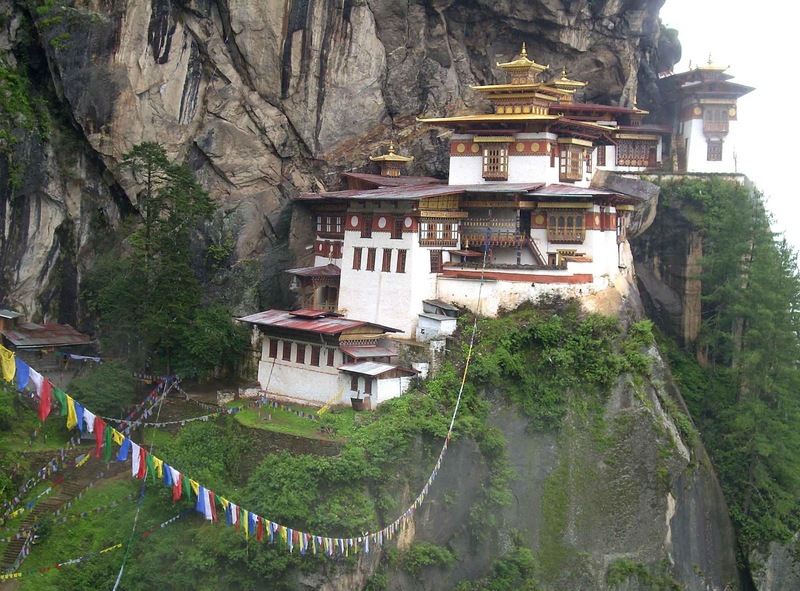 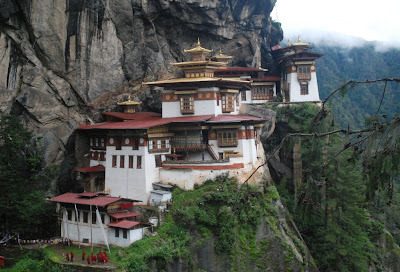 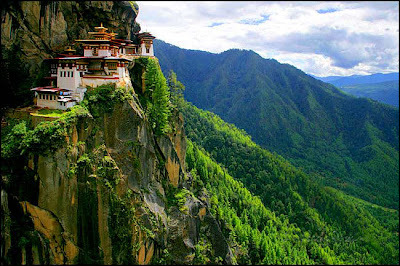 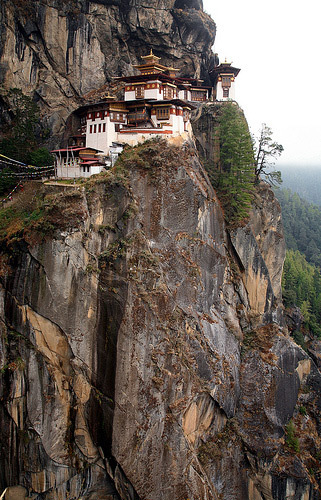 Tiger’s Nest Monastery that is Taktshang Goemba, one of the holiest places in Bhutan, is situated on the edge of a 3,000-feet-high cliff in Paro Valley. 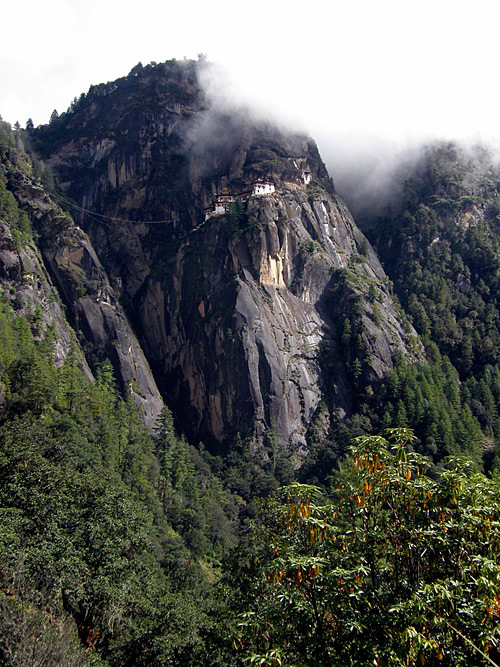 Legend has it that Guru Rinpoche, the second Buddha, flew onto the cliff on the back of a tigress, and then meditated in a cave which now exists within the monastery walls. 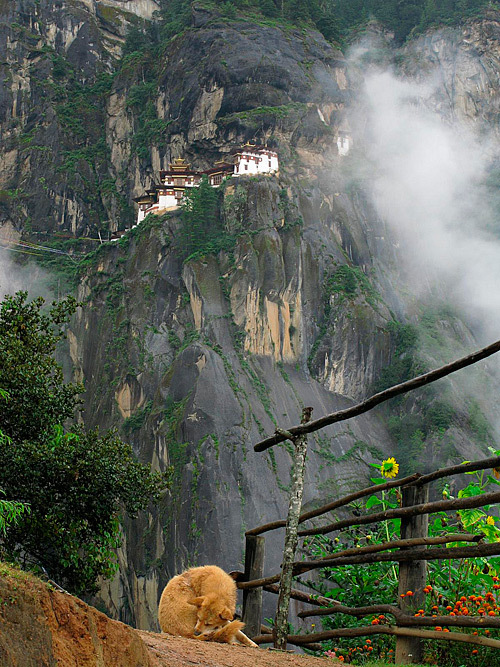 Now the entrance is restricted to practicing Buddhists only.